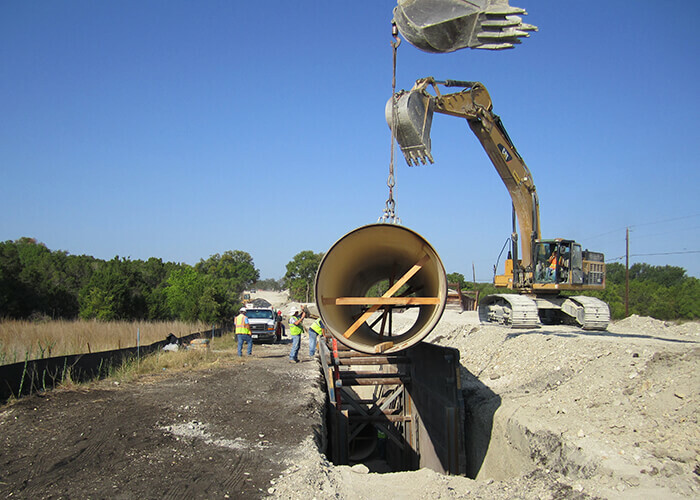 The Brushy Creek Regional Utility Authority (BCRUA) developed a regional water system to serve the developing cities of Leander, Round Rock and Cedar Park. The Authority was tasked with financing, planning, designing, building and operating the system. The system included raw water, treatment and transmission facilities. 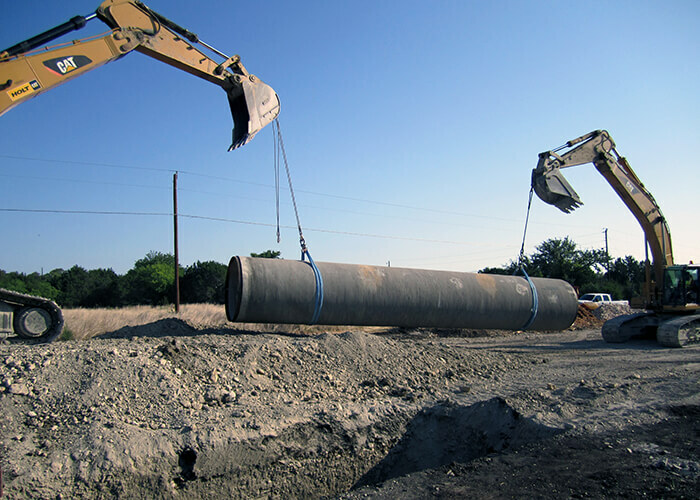 The Segment 2c Treated Water Transmission Main transports potable water on its way to Leander and Round Rock. The project consisted of approximately 8,000 linear feet of 72-inch diameter pipe, a tunnel crossing of Ronald Reagan Boulevard and a metering and flow control station. 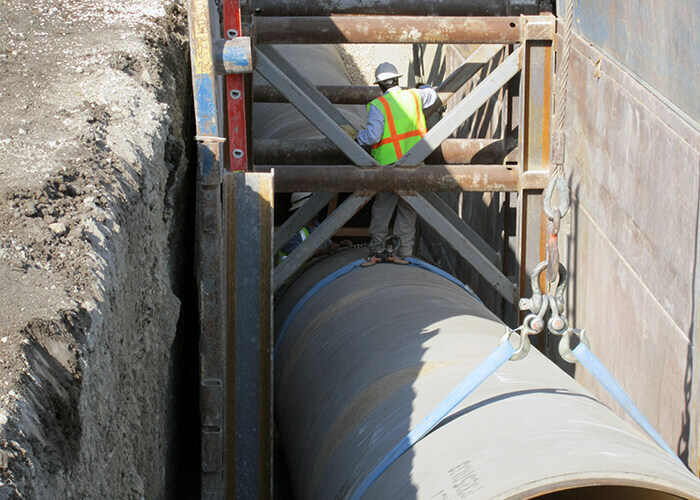 KFA provided preliminary engineering, design, and bid phase services for the Segment 2c Treated Water Transmission Main. During the preliminary engineering phase, KFA was tasked with planning the alignment of the future extension of New Hope Road, which would also serve as the alignment of the waterline. KFA managed all aspects of the project, including right-of-way acquisition assistance, corrosion protection design, and electrical and instrumentation design for the flow control and metering station. Coordination with the other design firms was a critical component of the project to ensure consistency of project material and construction requirements as well as maintaining schedule, since each component is integral in the overall project functioning. Given the fluctuation of construction costs during the design period, KFA coordinated with several contractors and material suppliers for constructibility reviews, construction schedule reviews, and project cost estimates. This was a fantastic project to work on, particularly from a teaming standpoint. The owners, engineering firms, and contractor worked well together to make this project a success. 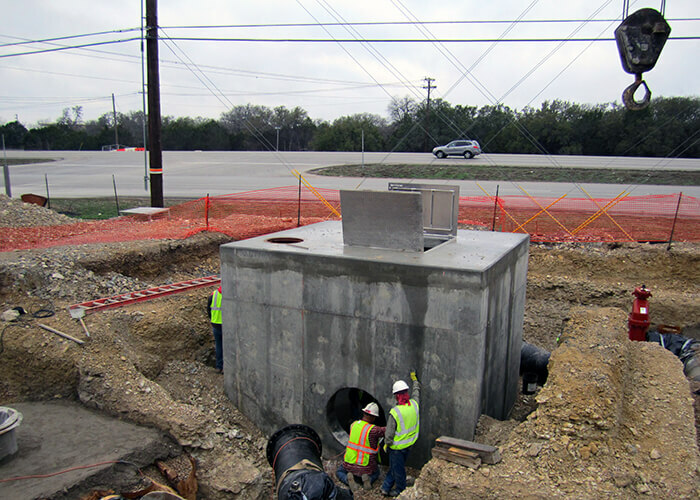 The Brushy Creek Regional Utility Authority developed a regional water system to serve the developing cities of Leander, Round Rock and Cedar Park. The project encompassed 8,000 LF of 72-inch diameter potable water main, a tunnel crossing of Ronald Reagan Boulevard, and a new metering/flow control station.